I don't read books to pick them apart. I read them to enjoy and figure out which ones will work for, and connect with, the students I serve, and to recommend to other educators. But that doesn't mean I can read without a critical lens. In fact, it's a requirement. In the quest to provide more diverse representation in literature, there is also a need to ensure that kids are getting positive, non-stereotyped, accurate representations in the books we share that can build empathy instead of furthering division, insensitivity, and cultural appropriation. Well, there is going to be another Madeline Finn dog book! And Peachtree Press is allowing me to reveal the cover to you all!! I always love participating in Cathy & Mandy's #pb10for10 event celebrating picture books and providing many fabulous #classroombookaday choices! I inevitably end up with a longer wish list and shopping cart and a maxed out hold list at my library. So get ready, and then go check out other educators lists today! My choice of theme this year was inspired by some of the conversation happening around #kidlitwomen & gender inequity in children's literature. 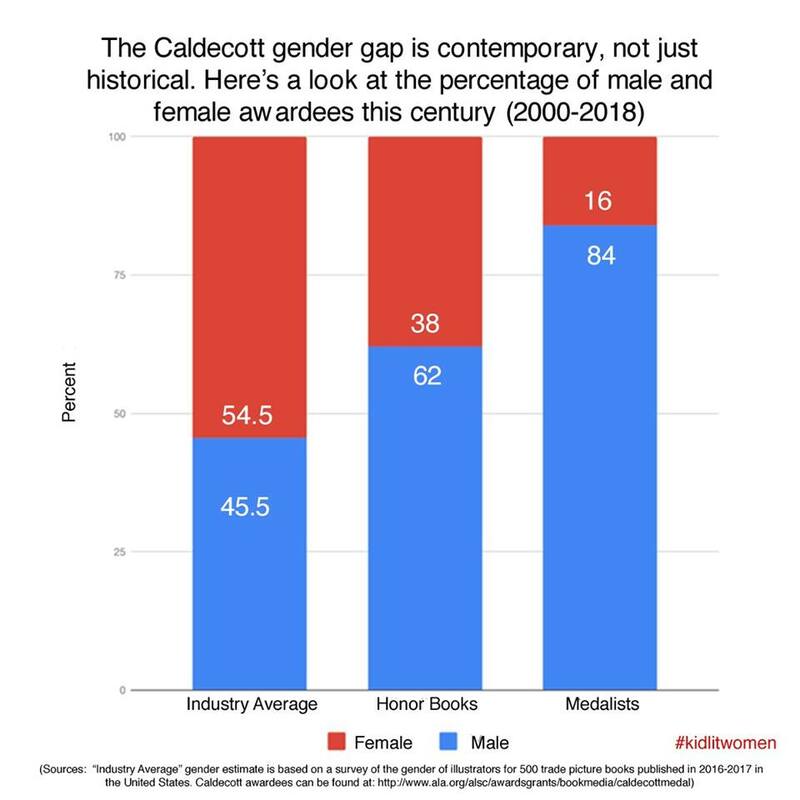 Especially the disparity in female winners/honors from the Caldecott award. 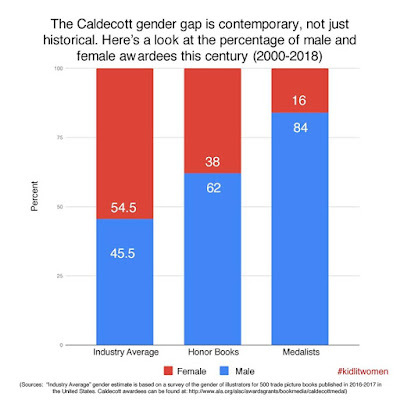 The day after that post, #kidlitwomen posted this chart on the contemporary disparities courtesy of Jeanette Bradley. This year for my picture book 10 for 10 list, I'm choosing to highlight & celebrate my favorite female-illustrated picture books of 2018.